Ear infections are caused mainly due to the growth of harmful bacteria and viruses in the ear canal. The wax present in the ear canal sometimes traps foreign substances and causes an ear infection originating from the ear canal. Ear infections are also caused due to infections in the throat and neck as they are all linked with the same tract. 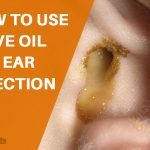 Ear infections are often painful and require to be treated carefully. 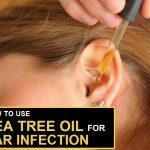 Natural products have been used extensively to clear ear infections at home. 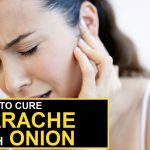 Below we mentioned some best ways to use garlic for ear infection cure. 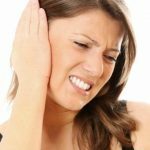 Does Garlic Help Cure Ear Infections? Garlic has existed as a food product for long. This makes it one of the most studied and most proven food components that have numerous health benefits. Garlic contains allicin which has anti-microbial properties, the aromatic compounds that are present in garlic have an anti-inflammatory action and garlic is a natural anti-bacterial, anti-fungal and anti-septic. Regular intake of garlic can help combat common cold and flu. It also reduces the chances of developing flu when taken in a regular manner in the form of a diet. All these combine to make garlic an effective home-remedy for curing ear infections and relieving the symptoms of ear infections. Garlic can be used as a whole or in the form of garlic oil to clear ear infections. Garlic is commonly used as a flavor additive for food preparation and has several health and medicinal benefits. Though here we are less concerned about Garlic’s flavoring properties and would be focusing solely on how it can help with ear infections. Wait for 10 minutes and then cover it with a cotton ball. Once the wax has softened, remove the wax using a cotton swab. Repetitions: Repeat this process regularly. Crush a few cloves of garlic after peeling. Wrap it in a small cloth and place it over the ear for 30 minutes. Remove the cloth after 30 minutes. Repetitions: Follow the above process once a day. Crush a few cloves of garlic to extract their juice. Put it in a cloth and place it over the ear. 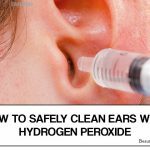 This will reduce the ear infection gradually. Repetitions: Follow the above process once in a day. Boil garlic cloves in water for 7-8 minutes. Once boiled, remove the cloves and let them cool. Mash the boiled garlic cloves and mix with a little salt. Place this paste in a cloth and hold it over the infected ear. Repetitions: Repeat this process daily till ear infection cured. How it works: This will reduce the inflammation and infection gradually. Use fresh garlic always as it contains the best part of the active ingredients. 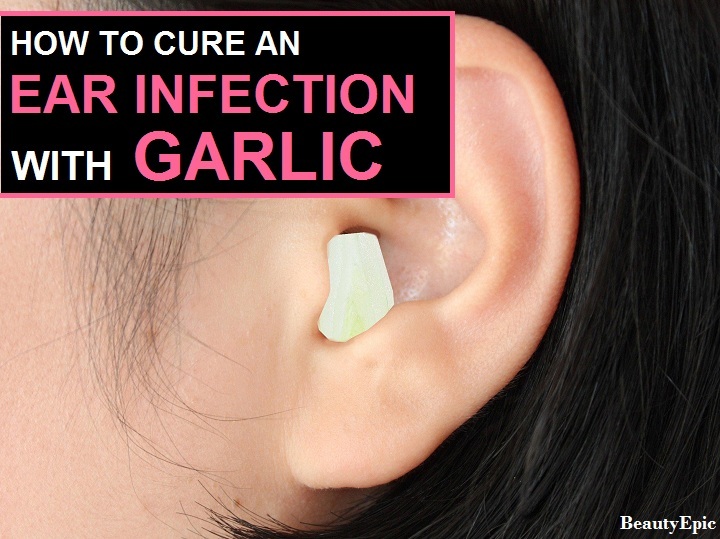 Ensure that the ear is clean before using garlic as an anti-infective agent. If the ear is not clean then there would not be any benefit from the whole effort. Do not leave any liquid in the ear. This can cause further infection. If the infection seems to worsen, consult the ENT specialist for medical opinion instead of relying solely on home-remedies.